Hard to believe over a month has passed since I’ve done one of these. As usual, Eightvape has a ton of fantastic e-liquid deals up for grabs right now. In fact, there are dozens 100-120mL bottles on sale for under $10! Check out the list below (prices may vary depending on which flavor you choose). 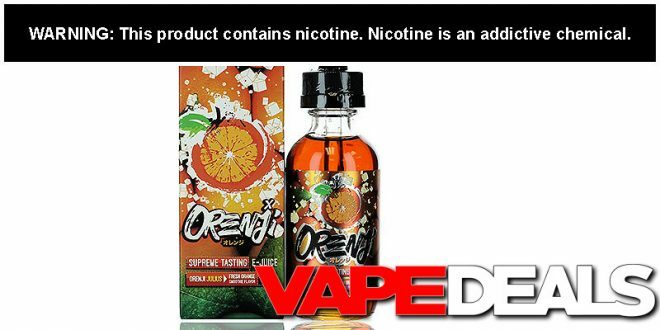 Also, be sure to apply coupon code “OCTOBERVAPE” at checkout to get the extra 5% off. According to Eightvape, all of their Halloween discounts will expire at the end of the day (11/5), so you’ll have to move fast. **It’s always worth mentioning that Eightvape offers FREE shipping on orders over $10 (plus several other perks) if you sign up for their new membership program.